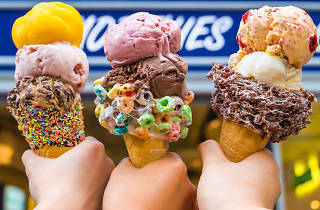 American import Emack and Bolio's serves up epic ice cream flavours with equally epic coated cones. 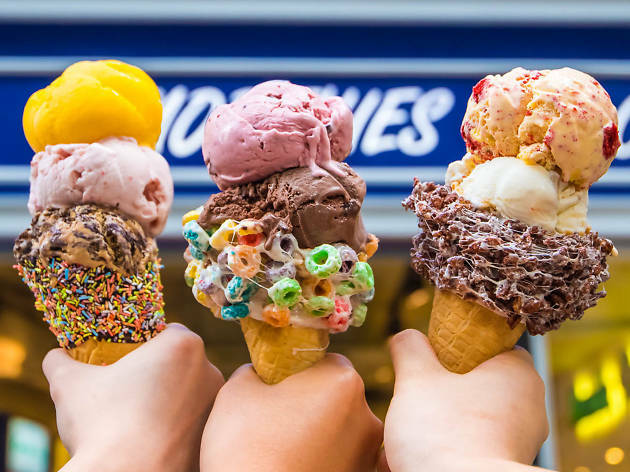 The self-titled ‘rockstars of the ice cream world’ serve up some of the best icy treats in the whole city. There’s a huge array of indulgent flavours, such as the cookie monster and the salted caramel chocolate pretzel. There’re also a load of funky cones that come encrusted with rice krispies, marshmallows, fruit loops or coco pops. Your camera alone will have a feast.